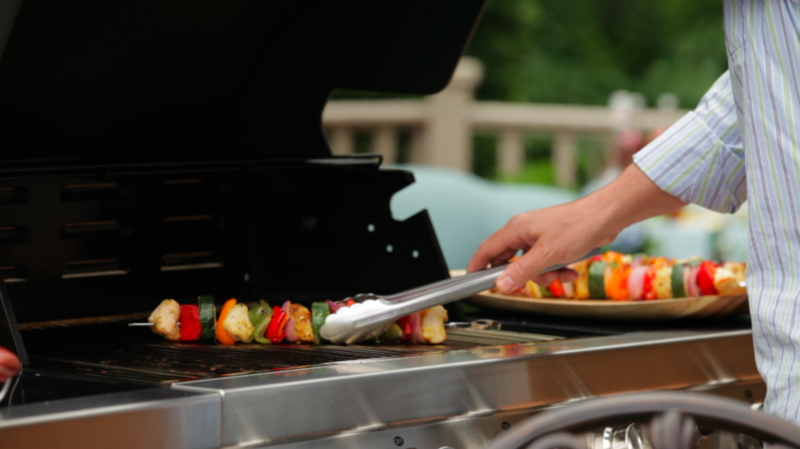 Fall is in the air, but grill season is still going strong! What to grill this weekend? How about some bread? 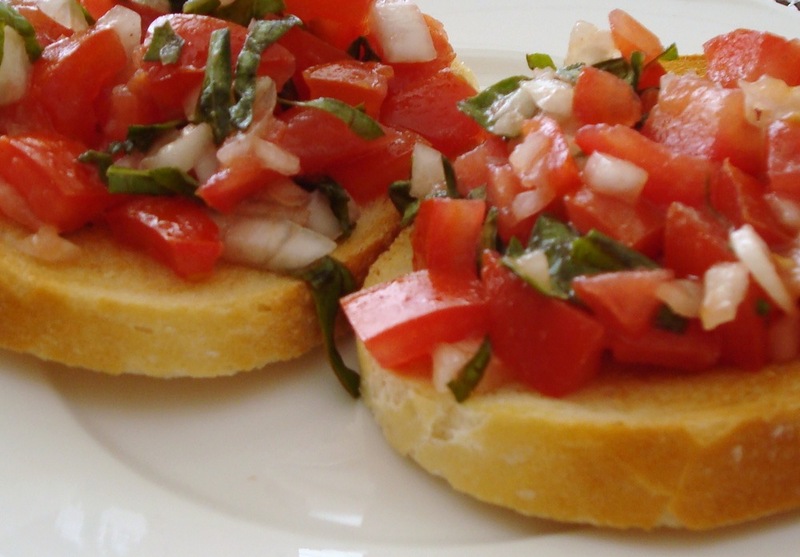 Bruschetta is one of my most popular appetizer recipes and is so simple to prepare. It is an ideal snack to enjoy while you are waiting for the main dish on the grill to be finished. 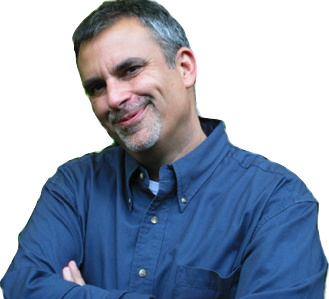 Tip: Use day old or very dense thickly-sliced bread. The addition of the smoke from the grill adds magical flavor to the crust and it’s toppings. There is no limit in toppings for your bruschetta, just let your imagination run free. Think of your bread crusts as an artist’s canvas. Join me for a bruschetta tour through Italy. Which, BTW, the variety in bruschetta toppings vary from region to region. When canal-side in Venice, I must have my bruschetta with Baccala' Mantecato—bruchetta topped with whipped salted cod. Vino prego! While in Siena, I’ve enjoyed grilled toasts di fegato—bruchetta made with garlicky chopped liver. 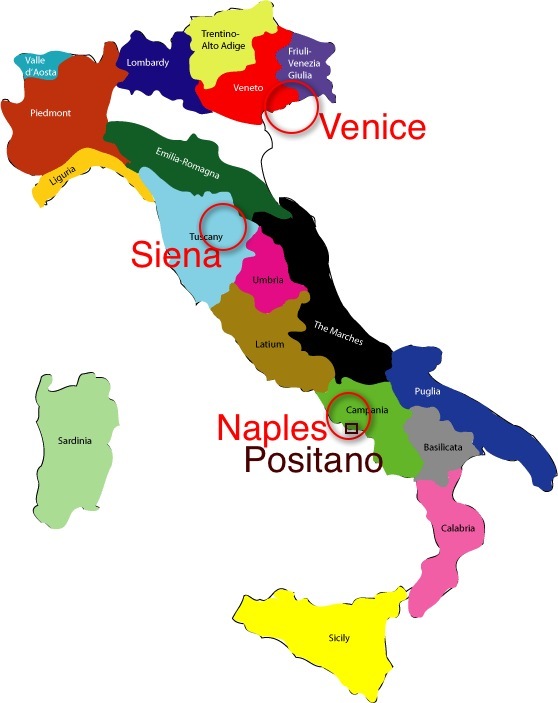 The southern part of Italy is the region to feast on the superior quality of fruits from Italy's fertile soil, particularly Naples. Ahh, delicioso pomodoro. This is the bruschetta most people envision; crowns of sweet ripened tomatoes, basil and olive oil. Before you take your first bite, let me transport you to my favorite place in Positano; Trattoria La Tagliata where Bartolo is the family's grill chef. He will take really good care of you - while you nibble on his bruschetta. You will enjoy the priceless view of the Amalfi Coast while you await his grilled specialties. Something wonderful happens to country-style bread when it’s brushed with olive oil and grilled. It’s smokey flavor adds another layer to olive oil, fresh tomatoes with lots of caramelized garlic, parmesan cheese, and capers. Dry day-old bread makes the best bruschetta, so this is a good way to use up yesterday’s loaf of Italian, French, or sourdough bread. Serve bruschetta with salad or soup, or as a snack with a chunk of sopressatta. This recipe is from my first book, and to pass along just how much everyone enjoys bruschetta from the grill it’s my very first recipe in the book, page 14.